If intelligent extraterrestrial civilizations did visit our planet in the distant past would we find evidence of their visitation somewhere on Earth today? Well, according to these three ancient texts the most-searched for pieces of evidence are right in front of us and have been here all along, ever since ancient mankind recorded what they had seen thousands of years ago. Even though mainstream scholars firmly reject this idea millions of people today firmly believe mankind has been visited by beings not from Earth in the distant past. According to some accounts these beings who were referred to as Gods intervened in numerous way in the evolution and development of civilization as we know it and interestingly there are numerous ancient texts that seem to back up this controversial yet popular theory. The Sumerian King List, the Royal Canon of Turin and the Palermo stone are three extremely important ancient texts that describe a time in history when beings referred to as ‘Gods’ ruled over our planet. The Sumerian King list is one of the most interesting ancient texts ever found on our planet as it details with great accuracy the rulers of the ancient Sumerian Civilization. There are more than a dozen of copies of Sumerian King Lists found in Babylon, Susa, and Assyria and the Royal Library of Nineveh from the VII century BC. All of these are believed to originate from one original list believed to have been written during the Third Dynasty of Ur or even earlier. However, the best preserved Sumerian King List is called the Weld-Blundell Prism which is a clay cuneiform inscribed vertical prism housed in the Ashmolean Museum. 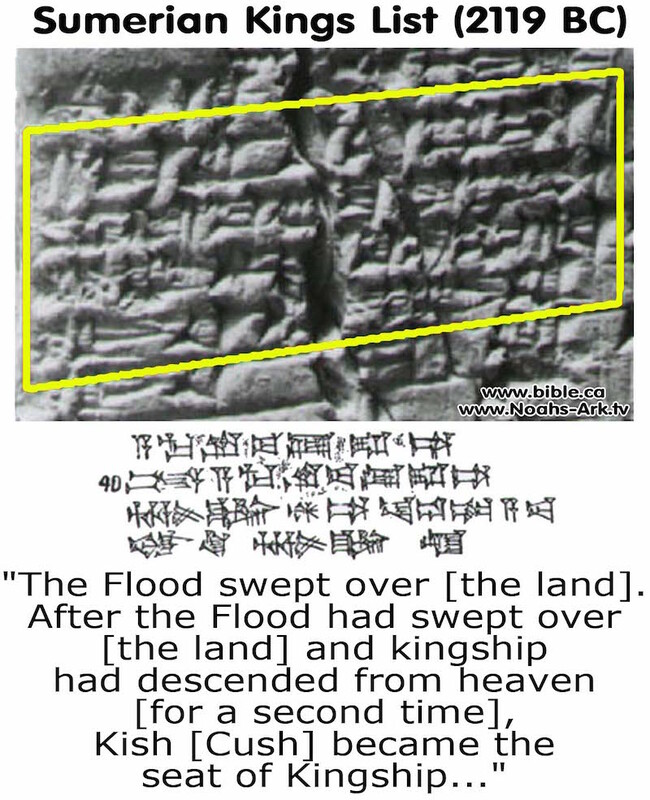 Written on it is a comprehensive list of all Sumerian kings before and after the great flood. Interestingly it describes Kings who ruled over Earth living for thousands of years. Scholars today have only partially accepted the Sumerian King list suggesting that the lengthy implausible reigns described within the Sumerian King list are nothing more than mythology. But if ‘Aliens’ misinterpreted as ‘Gods’ did in fact rule on Earth for thousands of years wouldn’t there be evidence of their existences in different cultures? Well, the Ancient Sumerian King List isn’t the only ancient text that describes how ‘Gods’ ruled over planet Earth. The Turin Royal Canon is another crucial ancient text that describes the longevous reign of ‘Gods’. The Turin papyrus –referred to by many as the Turin Royal Canon—is an ancient text written in the hieratic language (a cursive form of Egyptian hieroglyphics; used especially by the priests). 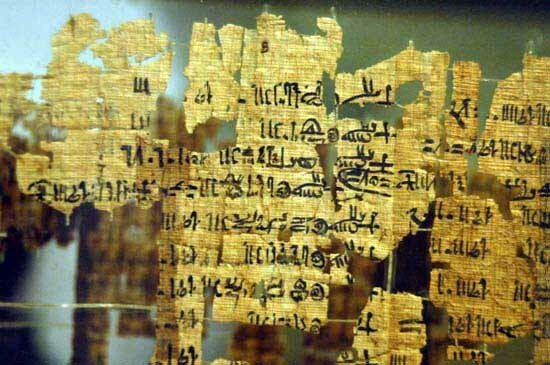 Scholars believe that the original papyrus was a list that included over 300 names detailing precisely the years, months and days of each reign of the kings that ruled over the lands of ancient Egypt. Interestingly, the part that resembles the Sumerian King List with great accuracy are the final two lines of the column, which seem to represent a resume of the entire document are extremely interesting and remind us of the Sumerian King list. They read: ‘… Venerables Shemsu-Hor, 13,420 years; Reigns before the Shemsu-Hor, 23,200 years; Total 36,620 years’. The Papyrus of Turin clearly indicates the existence of NINE dynasties that correspond to the predynastic Pharaohs and among them are the Venerables of Memphis’, ‘the Venerables of the North’ and lastly, the Shemsu Hor (the Companions or Followers of Horus) who ruled until the time of Menes, the first mortal Pharaoh of Ancient Egypt. Also known as the Royal Annals, the Palermo Stone is considered by many as the world’s oldest history books. This ancient stone is the most important source for the study of ancient Egyptian History. While the exact date of its creation is still a mystery, it is believed to have been created sometime in the fifth dynasty. 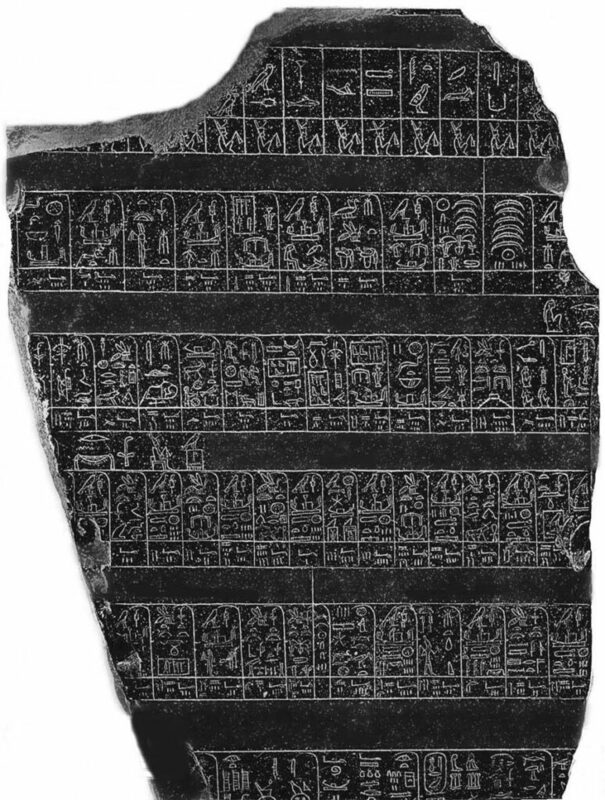 Just as the Ancient Sumerian King List and the Turin Royal Canon do, the Palermo Stone lists the mythical predynastic kings of Egypt followed by the pharaohs of the first five dynasties. The Palermo stone is only half of a huge slab of black diorite which initially is believed to have measured approximately 2 meters in length and around 60 centimeters in height. It is currently displayed at the Museum of Palermo. The document, in hieroglyphic writing, accounts for 120 predynastic kings who reigned before the ancient Egyptians officially existed as a civilization. Interestingly the names of the mysterious “gods” and “demigods” appear in the Egyptian royal genealogies as well. As you can see, there are several ancient texts that describe with great accuracy a time when beings, possibly misunderstood as Gods, came down from the heavens and ruled over mankind. Moreover, similar accounts of ‘Gods’ that came down from the heavens can be found in numerous ancient cultures all across the planet. For some reason, mainstream researchers have decided to ignore these ancient texts and have put forward their own chronology of ancient Egyptian history and that of other great ancient civilizations.